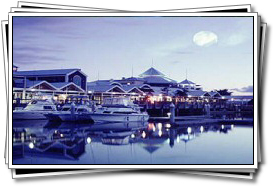 The Sunshine Coast of Queensland, 40 miles of pristine coastline north of Brisbane, is a favourite with both international visitors and Australians. 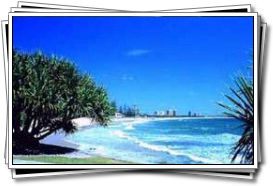 Coastal townships such as Caloundra, Coolum, Noosa, Mooloolaba & Maroochydore are synonymous with the traditional Australian beach vacation. The Sunshine Coast boasts great surfing, fun family attractions, world class golf courses and, of course, brilliant sandy beaches. In the green, subtropical hills behind the Sunshine Coast you'll find country hamlets where old pubs serve excellent counter lunches on open verandas overlooking green valleys. 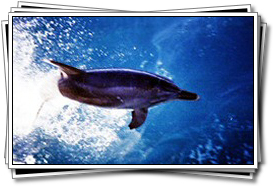 World heritage listed Fraser Island is one of the great natural wonders of the world. The largest sand island in the world, Fraser Island is over 120km long. Fraser Island is part of the Great Sandy Region, the largest and oldest dune system in the world, dating back more than 30,000 years. Rising to 200m, over 70 different colours of sand have been identified in the dunes. The southern part of Queensland enjoys slightly drier summers in comparison to the north. Temperatures on the Sunshine Coast average around 20°C during winter and, although warmer, are still comfortable during summer. Anytime really, but if you aren't used to the heat you may wish to visit during the winter when temperatures are pleasantly cool and rainfall is low.